favorite year round at my house... but always shows up at the holidays as well. So I thought I would share it with you today. 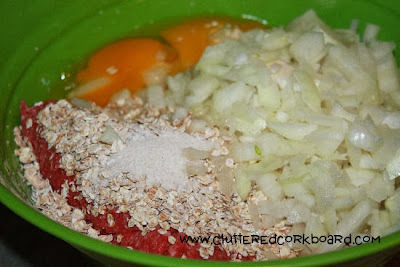 Directions:Mix Meatball ingredients in large bowl until combined well. 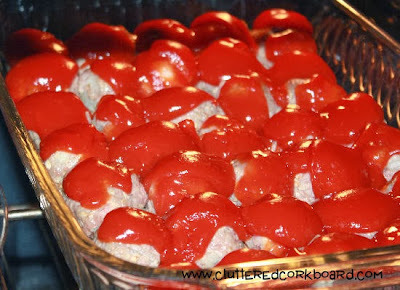 Roll into small balls and place into baking dish. 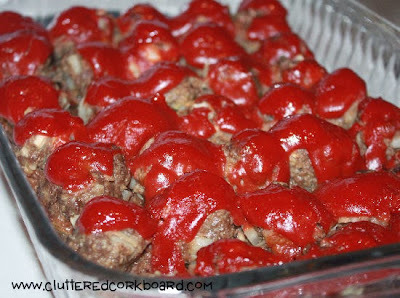 Mix sauce ingredients in another bowl and spoon over each meatball. Bake at 350 degree's for about 45-50 minutes until done. 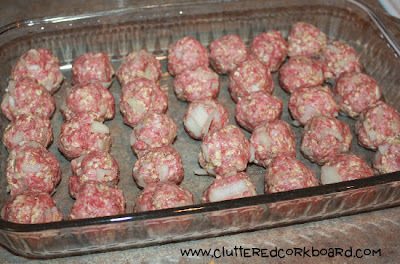 Makes approximately 70 meatballs depending on how big/small you make the meatballs.